Cut chicken into 1-ounce chunks. You should get about 24 pieces. 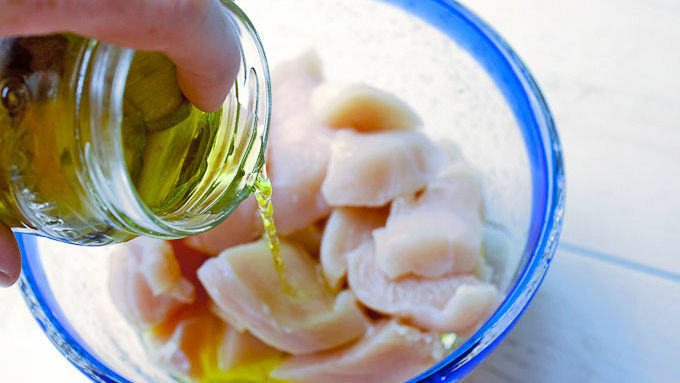 Add chicken to a bowl with pickle juice and let marinate for at least 20 minutes. Preheat oil to 350°F in a deep fryer or heavy saucepan. In one bowl, whisk together eggs and milk. 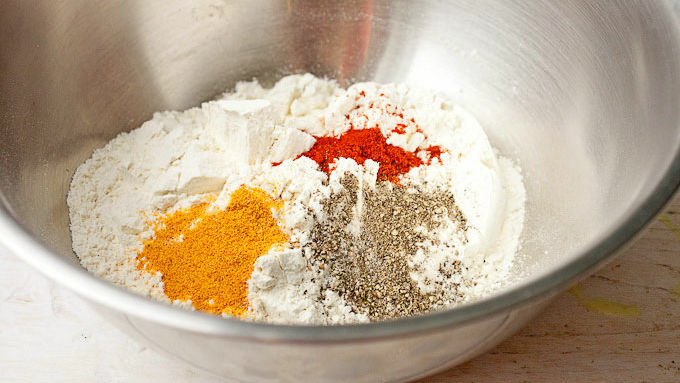 In a second bowl, whisk the dry ingredients together. Drain chicken well and pat dry with a few paper towels. To coat nuggets, dredge each piece in the dry ingredients, then the egg mixture, then again back in dry ingredients so there is a nice crust on nuggets. 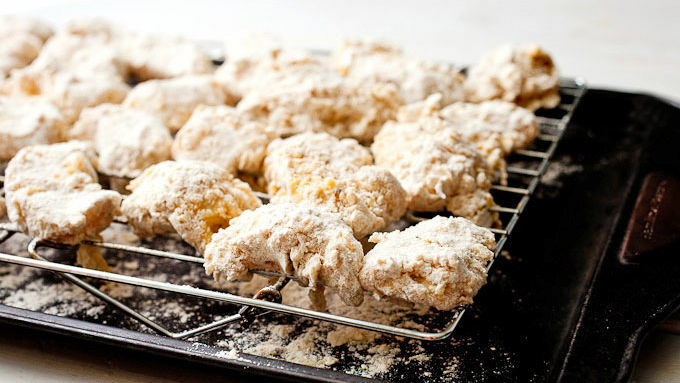 Place nuggets on a baking rack and repeat until all pieces are breaded. Fry nuggets in batches for 6-7 minutes until they are golden brown and cooked through. Test a larger piece by cutting it in half to make sure they are cooked through. 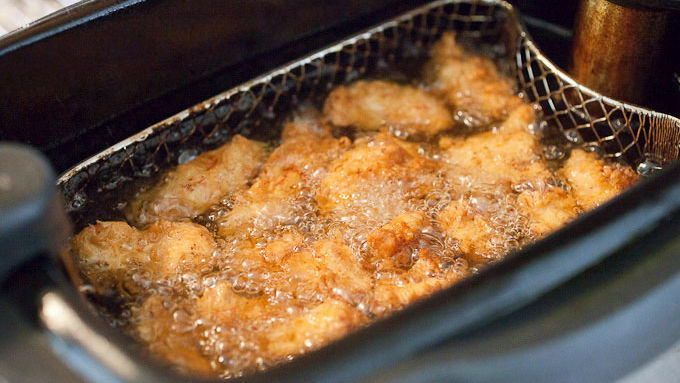 Remove nuggets from fry oil and drain on a few paper towels. 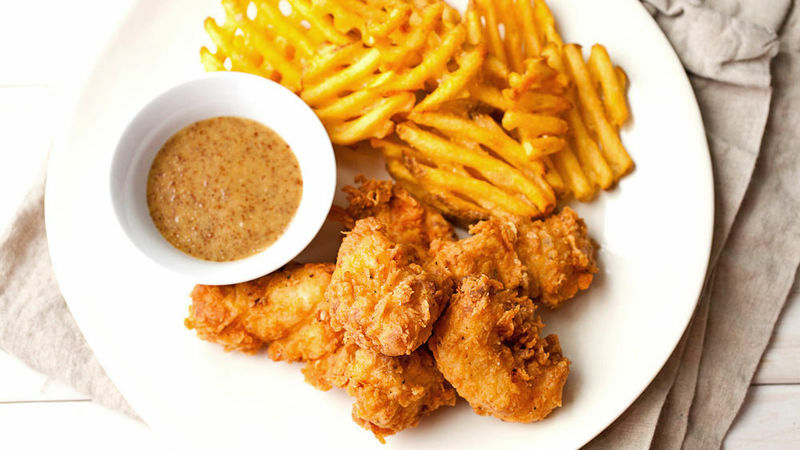 Serve while warm with honey mustard sauce and waffle fries. If you want to make these nuggets in advance, reheat them in a 300°F oven on a baking sheet for 5-6 minutes. It’s dangerously easy, folks. Almost every fast food place has some version of nuggets on their menu. Some are better than others. In my humble opinion, I think Chick-fil-A™ does a great job with theirs. Of course, if it’s Sunday and you’re craving them, you are out of luck! Until now. Because now you can just make them at home. Don’t forget the waffle fries! I don’t know this for a fact, but it seems like they must brine their nuggets or something. They are always nicely seasoned and really juicy. This might sound crazy (okay… it definitely does), but pickle juice is the way to get that Chick-fil-A brined flavor! 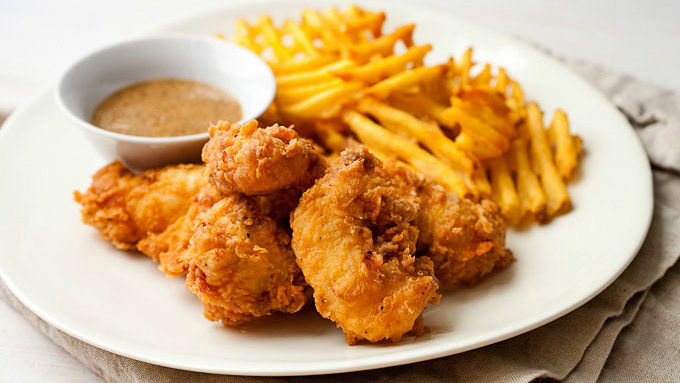 Serve these tasty nuggets with that delicious honey mustard and some crispy waffle fries.